Dental fillings have carved a name in modern dentistry. Its efficiency impressed millions of people particularly those who need comfort despite their damaged tooth. One of the most in-demand dental fillings is amalgam filling. However, a restoration that involves metals seems off to some. Aside from causing allergies or adverse reactions to their health, metal fillings, like amalgam, aren’t naturally looking. Lucky for us now, we can choose what’s natural! Thanks to dental inlay. This type of filling material features comfort and natural elements that can mimic or copy your remaining teeth’s natural grace. Dental inlay is a natural-looking filling. The primary goal of this restorative treatment is to restore and fix the damaged area of your tooth specifically to chewing surface. A lot of people think dental inlay is similar with dental crown. Though these two promote restoration to your damaged tooth, they have different functions. A dental crown covers the entire tooth. Unlike dental filling, from the word itself, its function is to fill the hole in your tooth. The holes created are most likely the results of the drilling process. Your dentist does this to eliminate the decayed area and ensure your remaining teeth are free from cavities. After cleaning the decayed part, the created room is where your dentist will place the fillings. In a span of two dental visits, your teeth come to its former glory! The fillings applied in your chewing surface are durable and long lasting especially when applied with dental care. For dental restorations, there are several options given. Aside from materials made of metal, like amalgams, your dentist may offer gold-made fillings, composite resin and dental inlay. Currently, most dentists suggest dental inlay. Besides durability, inlays come with translucence quality, like your teeth, and are less expensive compared to other restorative materials or procedures. The dental inlay procedure usually completes after two visits. However, this will always depend on your case. There are instances wherein your dentist requires you more than two visits due to severity of your decayed tooth. 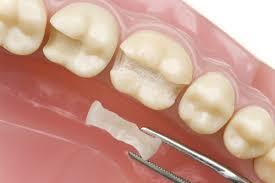 And since this procedure is an indirect dental restoration, it will always require a mold created in the lab. So after your dentist prepares your tooth, you’ll first wear a temporary inlay. Once you’re back for your second visit, that’s where your dentist placed the permanent inlay. Whilst other find dental inlay procedure complex due to multiple visits, there are dentists who offer onetime inlay process through the use of CEREC. This innovative system completes any dental restorations in one visit. Dental inlay truly is durable and worthwhile. Only that, you must ensure the dentist you’re working is trustworthy and reputable. When you find a dentist in Columbus Ohio, you will learn more of dental inlay. One thing you’ll learn is to remain keen with your dental care routines even after having an inlay. Exercise dental care and good oral hygiene all the time. This preventive measure doesn’t just help you prevent different dental problems. It can maintain your inlays intact and naturally looking!